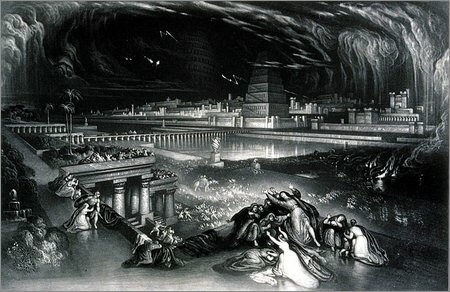 John Martin, Fall of Babylon from Illustrations from the Bible, 1835. I'm a sucker for this hyperdramatic 19th century stuff. The book will eventually be available online.